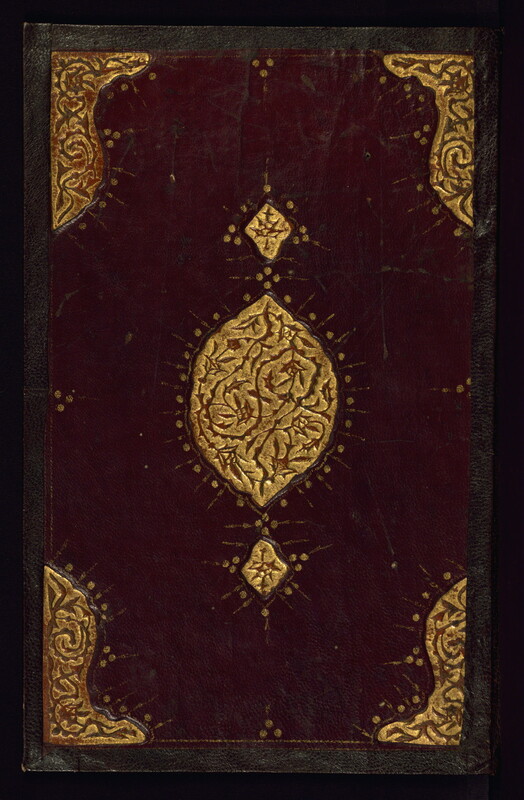 This is an anthology in fragmentary form of Persian poetry with such names as Banāʾī, Qudsī, Nīkī, Ḥayratī, Humayūn, Faṣīḥī, Qāyimī, and Kamāl mentioned in the text. It was written in nastaʿlīq script on tinted and marbled paper probably in the twelfth century AH / eighteenth CE. The three illustrations are in an archaizing early Safavid style and may have been painted in Iran or India. 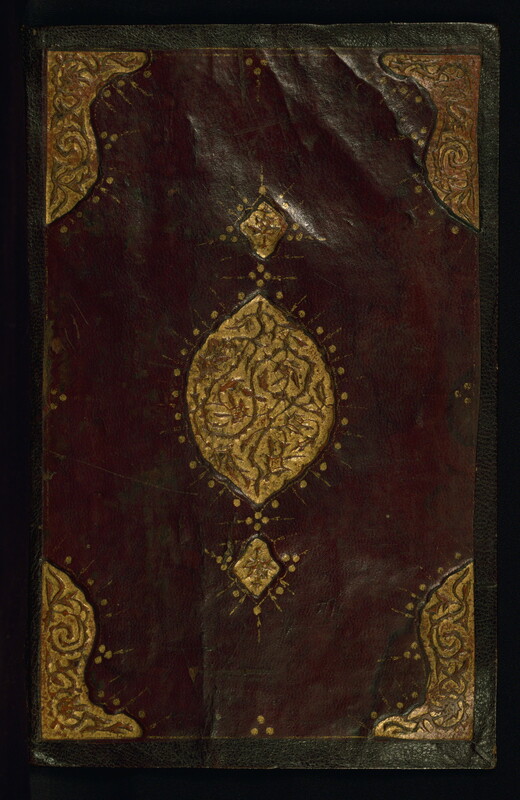 The binding is not original to the manuscript. Incomplete at beginning and end; fols. 2 and 3 should be before fol. 1; fol. 4 continues on fol. 1a; missing text between fols. 2b-5a, 6b-7a, 7b-8a, 10b-11a, and 12b-13a. The primary language in this manuscript is Persian.